1. Research Officer (Language)/Linguist - (i) Master’s Degree in Linguistics from a recognized University. 2. Deputy Director (Medical) - (i) A recognized Medical qualification included in the First or the Second Schedule or Part-II of the Third Schedule (other than the licentiate qualifications) to the Indian Medical Council Act, 1956 (102 of 1956). Holders of educational qualifications included in Part-II of the Third Schedule should fulfill the conditions stipulated in Section13 (3) of the said Act. (ii) Five Years’ Professional experience including three years’ experience in the field of occupational health preferably in factories or mines. 4. Deputy Director-(ER) - Masters’ degree in Political Science/History/Sociology Public Administration/ Geography/ Economics from a recognized University. 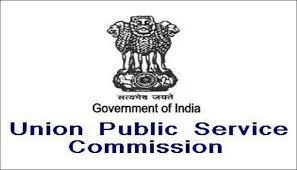 Note1- Qualifications are relaxable at the discretion of Union Public Service Commission in the case of candidates otherwise well qualified. 2. Deputy Director (Medical) - Rs.67, 700-2, 08,700/-) plus Non-Practicing Allowance.